I'm back today with another trending color combination that caught my eye in the December 2015 issue of HGTV Magazine. 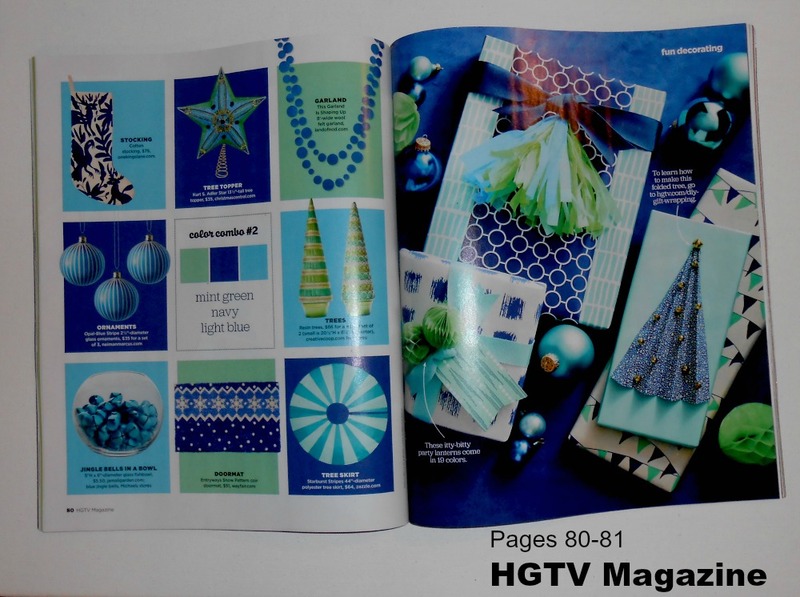 Here is the Christmas card I made today, using the "mint green, navy and light blue" combination the magazine suggests. 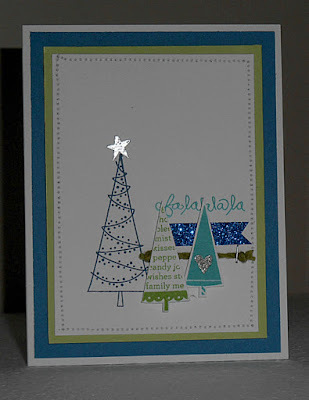 My card uses Close To My Heart's (CTMH) "Festive Trees" stamp set (#B1493), along with Exclusive Inks stamp pads in Pacifica (large tree), Pear (middle) and Lagoon (right). I also used a small pieces of blue Glitter Trim and fern Thick Twine. The images were stamped on White Daisy CTMH paper, stitched onto Sweet Leaf cardstock and mounted with Foam Tape onto Pacifica card-stock. I also embossed the silver star atop the large tree, and applied Wink of Stella Silver glitter to the tree on the right.